Are you looking for a quick and healthy meal to help use up leftover items in your fridge? 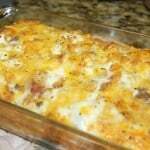 Here is a great recipe for a Ham, Cheese and Hash Brown Frittata Recipe using frozen hash browns. The great thing about a frittata is that the basic recipe is very flexible. You can use just about anything you have in the fridge and it will taste delicious. 6 eggs and 1 cup of milk is the basic requirement, everything else can be substituted/increased/decreased based on what you have in the fridge/freezer. This looks so good. I have a recipe link party "Cast Party Wednesday" I would love it if you came over and shared some of your recipes with us. 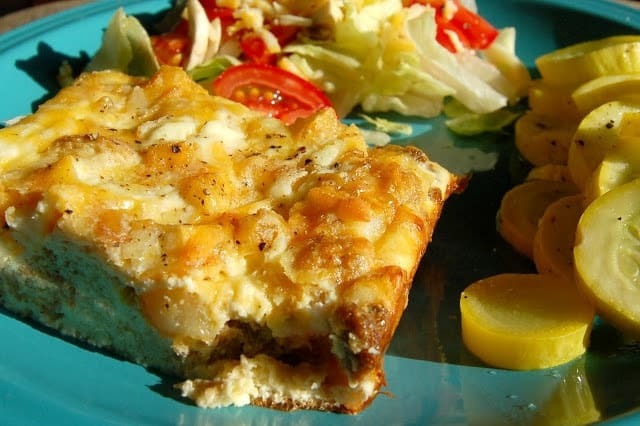 Your Ham Cheese, and Hash Brown Frittata looks great. I just love this combination of flavor and a great dish for week end company. Thank you so much for sharing with Full Plate Thursday and come back real soon! Hope you have a great week end! Hi! Oh, this looks so yummy! I am a new follower!I would love it if you stopped by blog, take a look around and if you like what you see, follow me back! Thanks! I found this on pinterest and am dying to make it. I am happy to be your newest follower. When you get a chance check out my blog http://www.questfordelish.blogspot.com. 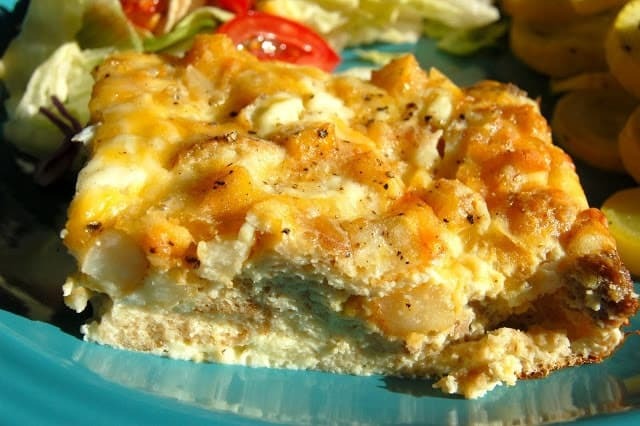 I have a hashbrown quiche I think you will love. This is so easy and so good! I used 1/2 cup shredded sharp cheddar and 1/2 cup parmesan. Sausage instead of ham. Wow! Try this! In my 10 inch cast iron pan, I sautés the onions, then add some bacon, fresh mushrooms, green pepper and whatever strikes my fancy at the time. 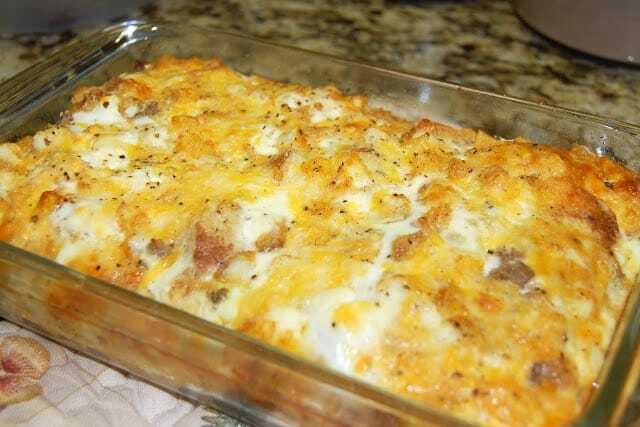 Then go ahead with the hash browns (I used 2 1/2 cups) and spread the cheese over that mixture and pour the egg/milk over the whole thing. One pan, pop it right into the over and it comes out perfect every time. Thanks for this recipe, it is excellent.